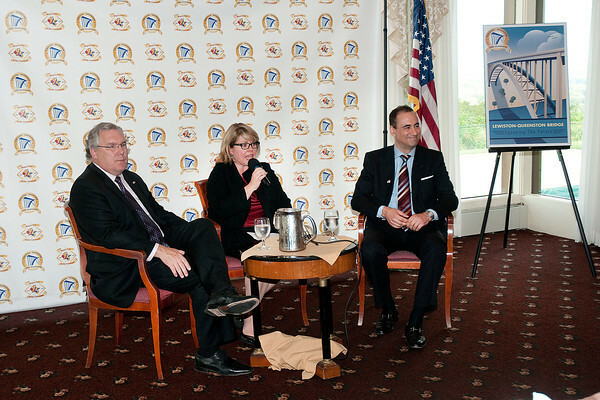 James Neiss/staff photographerNiagara Falls, NY - Buffalo Niagara Partnership President and CEO Dottie Gallagher-Cohen, center, moderates the Canadian-American Relations Panel Discussion between the Hon. Jim Dickmeyer, Consul General of the United States in Toronto, left, and Hon. John Prato, Consul General of Canada in New York, right, during the Lewiston-Queenston Bridge 50th Anniversary Luncheon at the Niagara Falls Country Club.